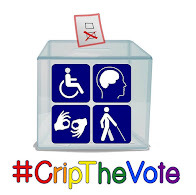 We are starting this Presidential Candidate Resource to make essential information on 2020 presidential candidates available to disabled voters and disability activists. Our goal here is limited. We just want a single page where you can find basic information on each declared and potential candidate. A little later on in the campaign we will add some more information on their disability-related positions and practices.